We end up going out for lunch and making dinner at home. We found some tasty spots in our neighborhood…. 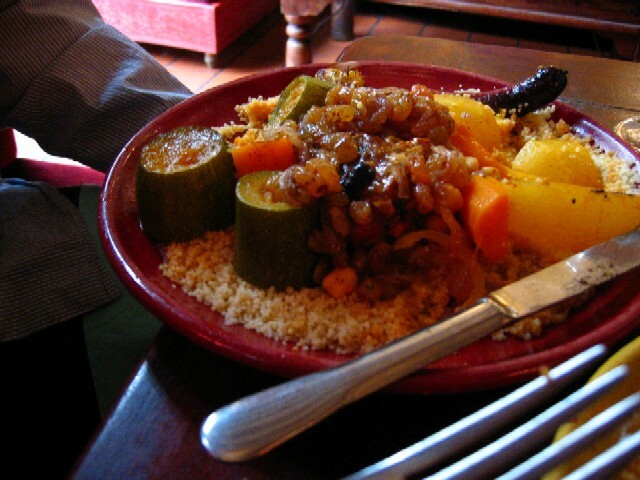 Many places have a forumale midi – meal specials for the noontime/dejuner periods. 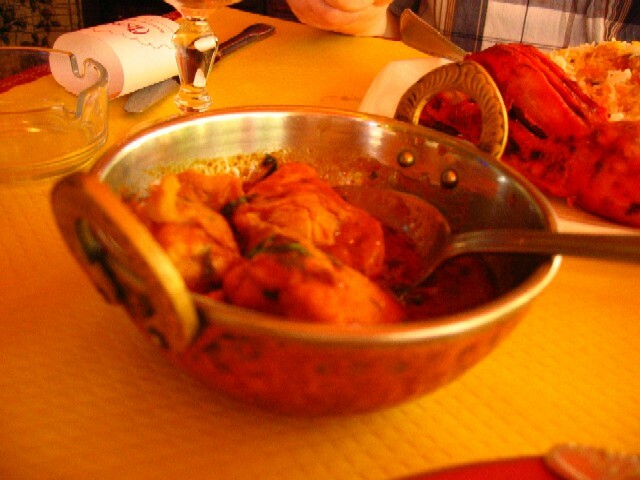 This Indian restaurant had a forumale midi for about 10 euros that included naan, chicken tiki and vin. The chicken tikki was yummy and the sauce was great over white rice. 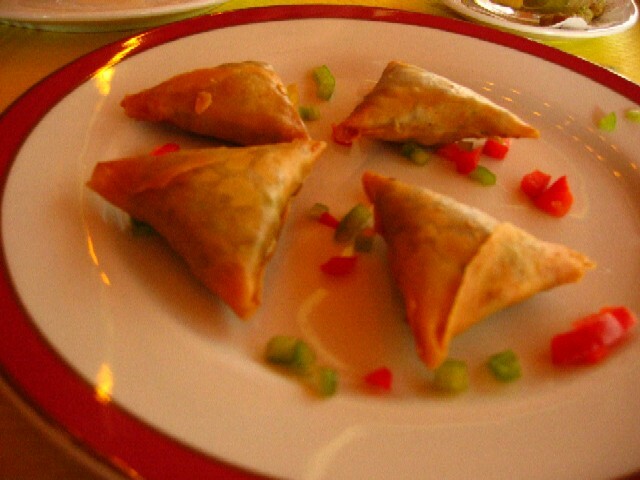 I also ordered these adorable samosas…with meat. Thankfully, we have not resorted to any American fast food options. 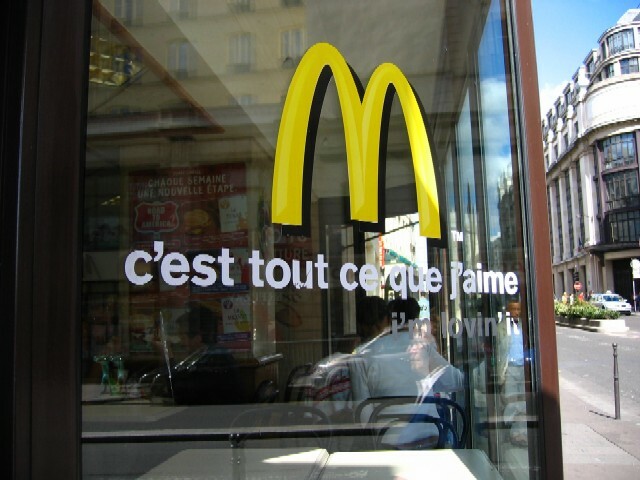 no “Le Big Mac” pour moi! Sadly, there’s one next to the Chatelet metro station and another on the way to Norte Dame. Grrrr….